Update: Verizon just announced it – July 10 is the day. 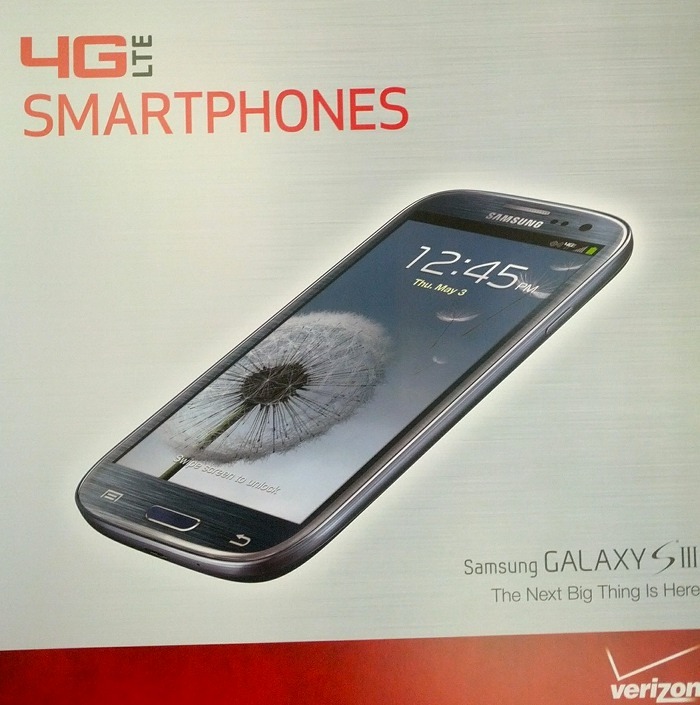 Verizon was all in on the Galaxy S3 party back in early June, even announcing a pre-order that would start June 6. Since then, they have remained quiet on an actual release date and will only tell those that pre-ordered, when they can expect their shipments to leave the warehouse. With dates of July 9, 10, and 11 all being attached to those pre-orders, most of us believe that the device will land in stores on July 12. That’s not official by any means, but official in-store posters arriving this week certainly help that idea. The next big thing is…almost here.